The protagonists of Resident Evil 5 are fairly easy on the eye. 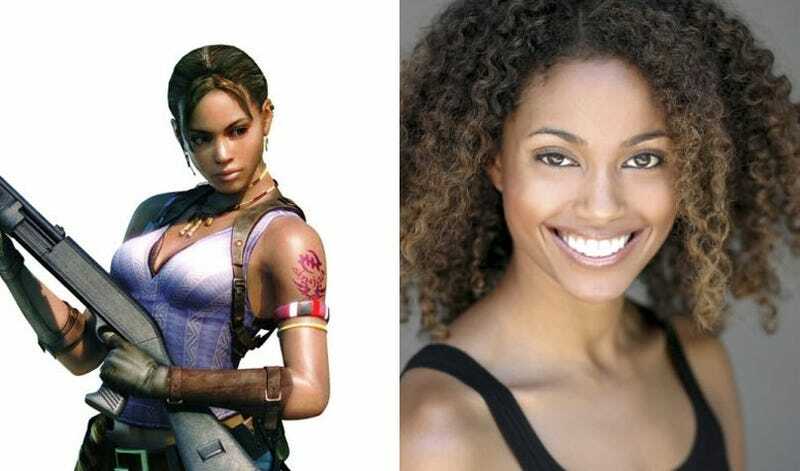 For the ladies, Chris Redfield has been hitting the weights, while for the fellas, Sheva Alomar is, well, beautiful. We had the idea for Sheva very early on in development. We knew exactly what kind of character we wanted her to be, but it took a long time to get her design to the right level of attractiveness before we were satisfied. [Laughs] We kept going back to the design, and I was actually the one who made the most complaints and asked for it to be redone. We spent a lot of time designing and redesigning her. Ultimately, we probably went through 50 Sheva variations. To get to the Sheva you see today, Takeuchi says the directive for the team was "not Beyoncé-level hot, but hotter than Angelina Jolie". In the end, they settled on basing the character on Australian actress Michelle Van Der Water, who you can see above.